We provide the most dynamic, innovative and responsive real estate closing agent services throughout the state of Florida. Empire Title Services specializes in handling all aspects of residential and commercial real estate closings. 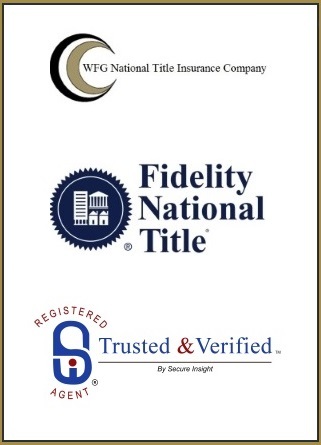 Whether you are purchasing a home or buying investment property, the friendly, experienced professionals at First Title Group, Inc. will guide you through your real estate transaction every step of the way. With our sister company ACMM Consulting, Inc. we will support your needs in FIRPTA and 1031 Exchange. Excellent service. Staff is effective and fast! Definitely reccommend! 100% specialized and very professional attention in both companies First Title Group / ACM Consulting. 100% recommended. Great and professional service, they take care of every detail, they helped my client understand the process, making it a hassle free closing. I truly recommend First Title Group. I personally know the management team, they are extremely professional and diligent advisors. The company has a customer service orientation, with positive attitude and willingness to solve any issue. © 2019 First Title Group. All Rights Reserved.